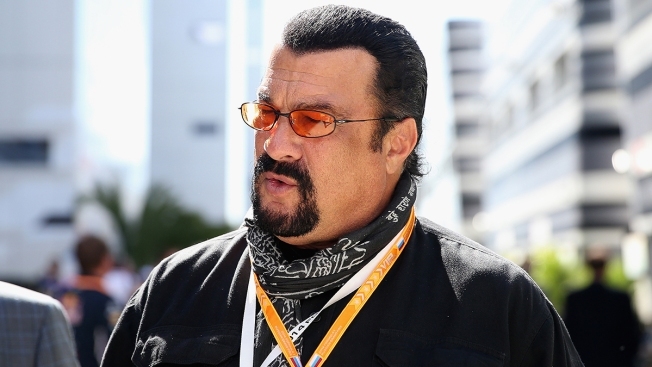 This Oct. 11, 2014, file photo shows actor Steven Seagal in Sochi, Russia. Russia has appointed actor Steven Seagal as a special envoy to improve Russian-U.S. ties, NBC News reported. The Russian Foreign Ministry announced the appointment on Saturday saying Seagal's role would be to develop Russian-U.S. relations in the "humanitarian" sphere, including in the fields of culture, art and youth exchanges. The 66-year-old martial arts star — who rose to fame in the 1980's and 1990's for his roles in movies such as 'Above the Law' and 'Under Siege' — was granted Russian citizenship in 2016 and is a vocal supporter of President Vladimir Putin. Seagal, who sometimes appears on Russian state TV to talk about his views and career, was cited by Kremlin-backed TV station Russia Today (RT) as welcoming the appointment. "I've always had a very strong desire to do all I can to help improve Russian-American relations," Seagal said according to RT. "I have worked tirelessly in this direction for many years unofficially and I am now very grateful for the opportunity to do the same thing officially."